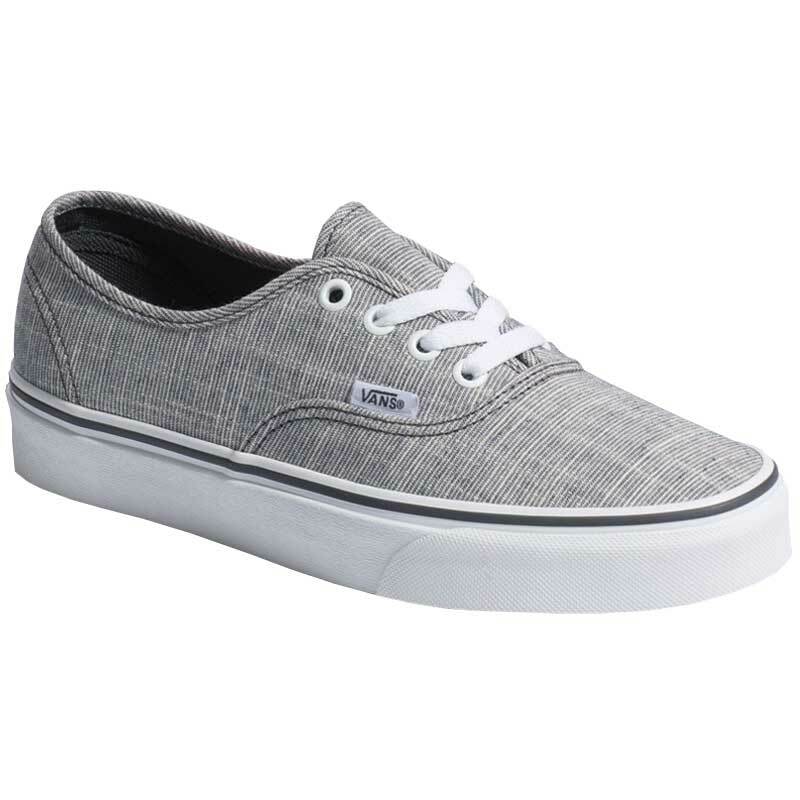 The Vans Authentic sneaker gives you an original twist on the iconic Vans style. This women's sneaker has a simple low top design with a durable chambray textile upper. The interior is covered in a soft-to-the-touch lining and the metal eyelets paired with the lace-up style gives you a secure fit. Finished off with the Vans original waffle outsole, the Vans Authentic sneaker is the real deal.